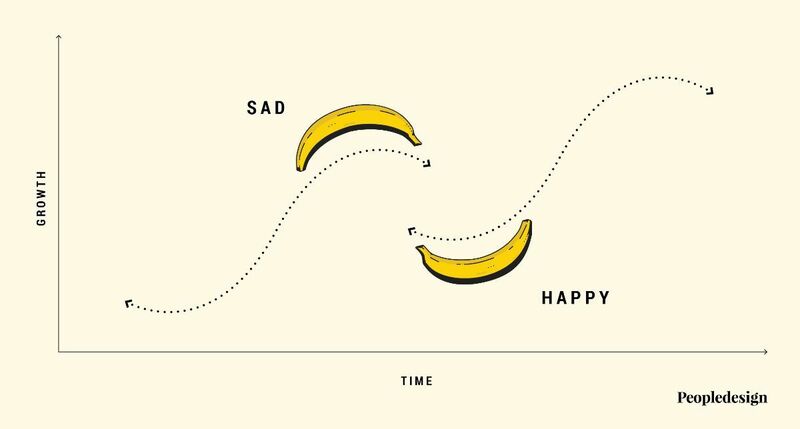 Is your team a Happy Banana or a Sad Banana? Many leaders feel a need to change. Companies adapting to new market conditions seek to Jump the S-Curve. Finding new growth is not easy. Consider what happens before, during, and after these transitions. Organizations making the jump exhibit behaviors which are expected and manageable. Change is hard, risky, and easy to resist. Some people want to keep one foot on solid ground. Tried and true processes are not abandoned easily – with good reason. Understanding history often is the starting place for defining the future. However, to remain relevant, organizations must evolve. Others view change as a mandate, aiming for newer, higher ground. There are those at the top of the S-curve, finishing a growth-cycle in a mature market. They feel locked in with competitive pressure and stress over the need to change. We describe these as “Sad Banana” teams. Sad Bananas need to see the big picture, get over their denial, and take action. 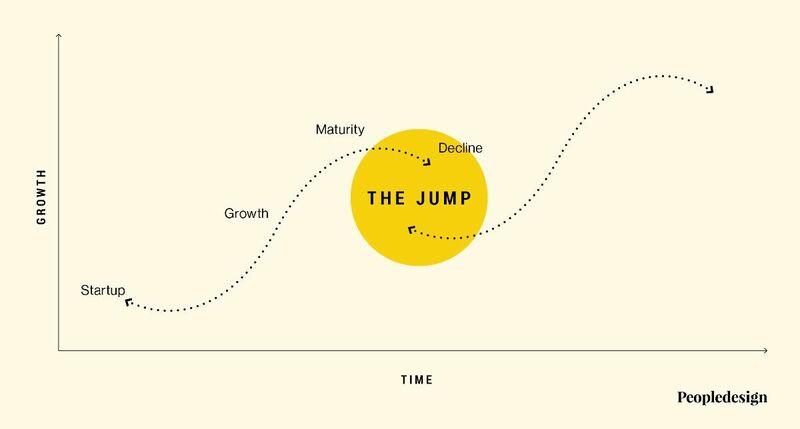 There are others who are making the jump, at the bottom of the S-curve and are looking toward the future. They feel excited but nervous about what’s next. These “Happy Bananas” need ideas about speed, scale, and customer mindshare. Happy Bananas need to be agile, get organized, watch their blind spots. There are Happy Banana people in Sad Banana companies and vice versa. Each is balancing change in large and small ways. Forward-looking leaders seek to understand these dynamics for sharper focus and better alignment.